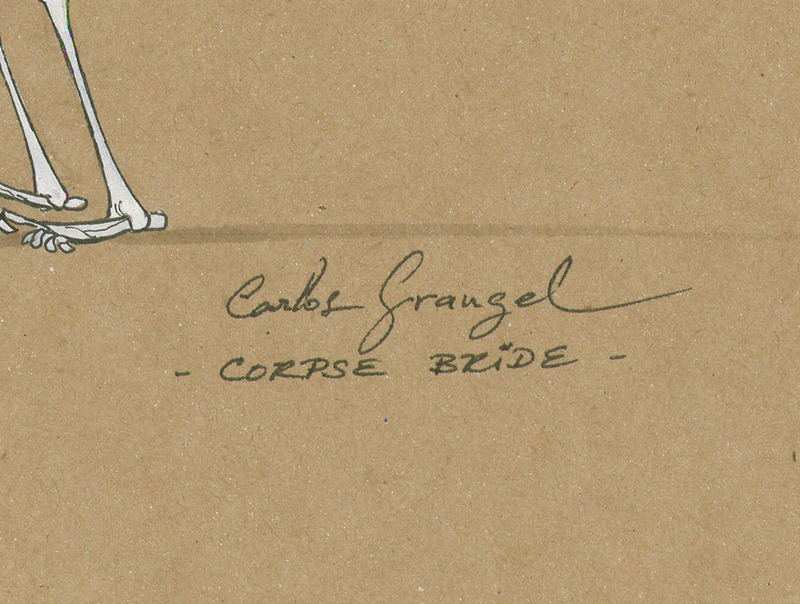 This is an original character concept drawing from the Warner Bros. Studios production of Corpse Bride (2005). 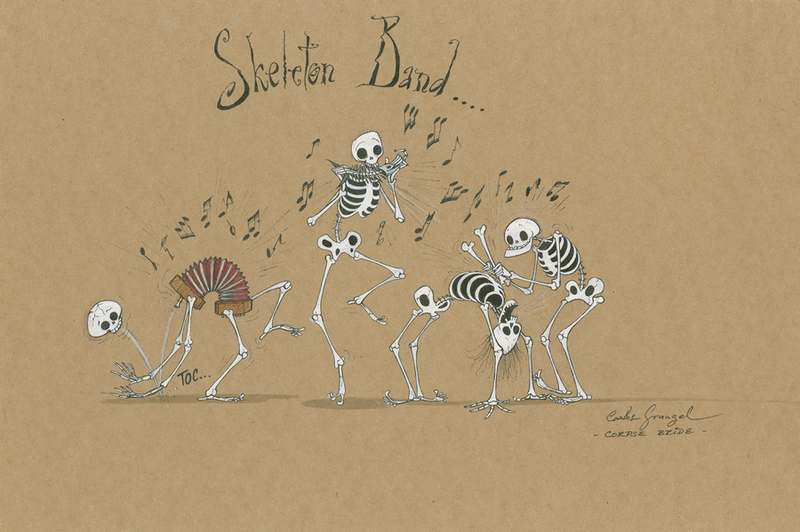 This hand-drawn concept features the skeleton band that backs up Bonejangles at the Ball and Socket Pub, where they sing Remains of the Day to explain the Corpse Bride's backstory, and was created at the studio and used during the development of the characters' designs for the film. The overall measurements of the piece are 11" x 16.5" and the image itself measures 8.5" x 10.5". 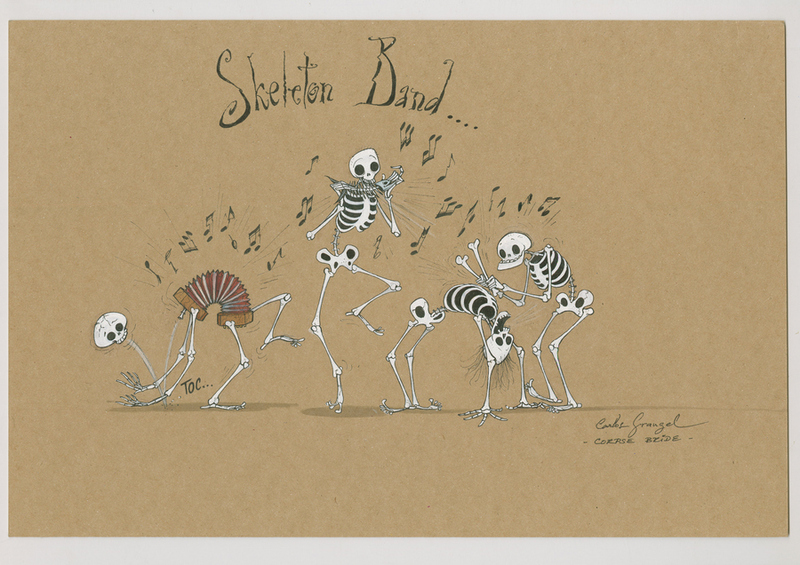 The piece is in great condition and is signed by the artist to the lower right of the image.